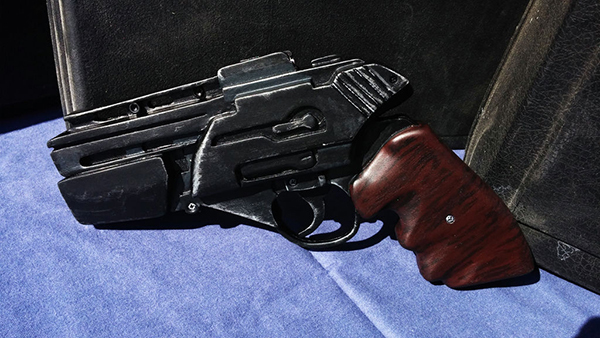 Make Your Own Battlestar Galactica Sidearm Replica « Adafruit Industries – Makers, hackers, artists, designers and engineers! I use a Dremel with a sanding bit for 80% of the work. The remaining 20% is a variety of needle files, various grits of sandpaper, or the occasional grinding and engraving bit. 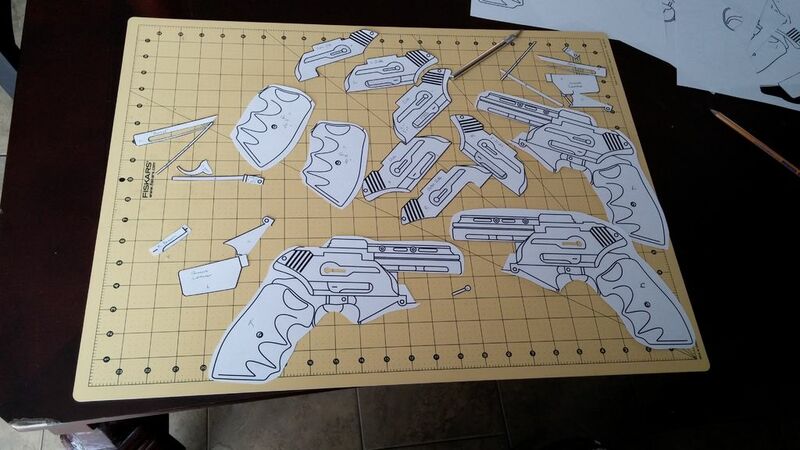 I started by shaping and gluing the main frame of the gun. Once everything was how it needed to be, other pieces were added: grips, various rails along the side of the barrel. The two halves of the slide action were each crafted separately. So was the grenade launcher attachment. Once everything’s shaped, break out your Bondo. Bondo is an automotive filler typically used to fill in car dents and dings but as you’ll find, it’s widely used in propmaking. Anywhere you see unsightly seems or low areas, mix up some Bondo. Wait about 20 mins for it to cure when it becomes unworkable.